Now we did put Simons exhausts in our weekly offer! 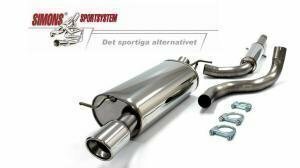 Swedish Simons exhaust is a good choice for every car. There are huge amount of different silencers available, so you can always get the best benefit and sound from the exhaust. We have now a price list in our webshop for all the Simons exhausts and i need to mention that we also have a fast delivery for all the Simons products! Davies Craig electric waterpump is brilliant choice when you want to make sure that your cooling works for sure. There are Davies Craig waterpumps in sizes 15-150l/min, smallest pumps are made of nylon and biggest are with strong alloy frame. You can buy the water pump kit which contains also digital controller, which will change the blower and pump speed when needed. Of course there is only a water pump available, if the controller is already acquired. Davies Craig water pumps has been used in motorcycles and even in some lawn mowers, actually it goes everywhere which has a water cooling! 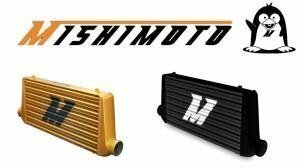 There are also available Mishimoto coolers and Red Line Water Wetter, which can low the water temperature even 18c degrees. 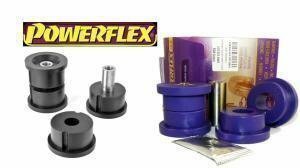 You can find the Powerflex bushes in our webshop, with diagrams! 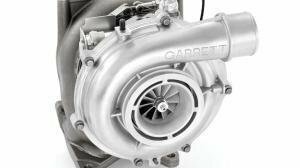 We listed a Garrett turbos in our webshop few days ago! Bilsten is a high quality shock absorber from Germany and there is a shock option for every use, for racecars, dailydriver and for many other! 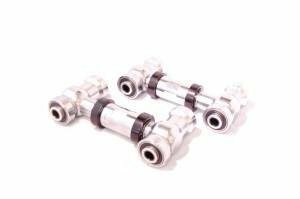 Eibach spacers are naturally model-specific and hub centric. Most cars have thicknesses available from 5mm up to 30 - 35mm, and some up to 45mm. Most kits come with longer bolts and/or nuts, allthough a few types need additional hardware. What comes with each type of spacer is listed on our website. Quality is not the cheapest, but these are products which wont fail or cause steering tremors - these are Eibach spacers. Thanks to a better currency rate, Quaife prices dropped in our shop. Our pricing goes hand in hand with international prices, and our aim is to offer a good price which can be compared to international prices when shipping costs and taxes are calculated. All our webshop prices include tax, and for orders over 400€ they also include shipping. wideband o2 gauges are a very common product, and we have lots of stock as well. PLX gauges are priced at 229€ and the Vems (including egt) at 299€. Shipping to EU starts from 10€ depending on your location. K&N is the best air filter you can use in your car - in practice, it's eternal, now K&N is also in our weekly offer -10%! K&N air filter is one of the best modifications on your daily driver, it allow more air to engine - that means more power and lower fuel consumption, because engine doesn't have to work so hard to get the air. K&N filters practically lasts forever, assuming that you clean it occasionally. Simply = when the normal "paper" filter is dirty and ready for a change, K&N only needs a little wash - you can get the K&N Recharger kit separately. There is also K&N oil filters, which has been a very popular item in race cars - almost every K&n has a nut in top of the oil filter, so it can be easily removed from the engine with wrench. Comfort and slammed dont traditionally go hand in hand, but an air suspension makes the equation very much possible. 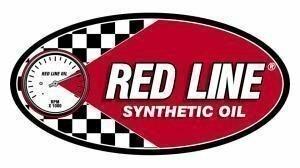 Red Line is the best oil you can use, also on winter! Until next friday: Eibach suspension kits on autumn promo! Suspension parts are generally a bit off-season at the moment, but lets push it a bit for you early birds thinking about a suspension for next summer! On promo are the Pro-Kit and Sportline lowering springs, Pro-Street-S adjustable coilovers and the B12 Pro-Kit and B12 Sportline kits consisting of Eibach springs and Bilstein B8 shocks. The B12 kits consistantly get extremely good feedback. The Dräger 3820 alcometer is now available from us. This is the tester used by police, and is widely popular over here in Finland. 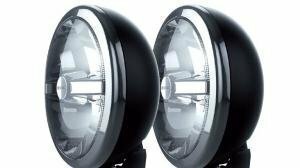 Cibie LED addon high beams are now on promo until 30.11. These are not the cheapest led lights, but offer impressive quality from a company which has made lights for nearly a hundred years. The range is 500 m at best, and power up to 1200 lm. 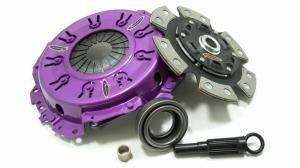 The Clutch Masters clutch & flywheel listing was just updated to a fresh listing. Prices were also under the scope, as well as the general usability of the listing. A new turbo is a common upgrade during winter. 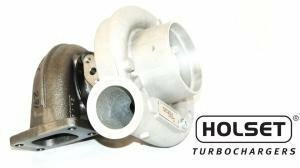 We carry the best Holset upgrade turbochargers and did a small comparison on them. Lets continue the weekies with something great - the entire Sachs SRE clutch lineup - 10 %. Sachs SRE as in Sachs Race Engineering is the same German quality as OE Sachs parts, but made for competition and tuning purposes. The range covers clutches for almost all European and Asian models in organic and sintered kits. SRE is a German brand and it shows. They aremong the very few brands that list an actual torque cap in Nm to all of their kits. This info is of course available on our site as well. Most common Sachs SRE products are in our own stock. The Quaife ATB listing was updated. It covers dozend of new models as well as brand new listings for the BMW and Mercedes units which are not available from Quaife. 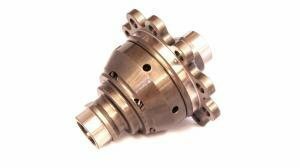 Do it once and do it properly is a statement especially suited for engine building. 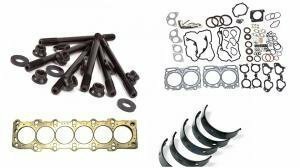 Dont hesitate to ask us for parts kits if you're building an engine in the winter. Lets put on some proper brakes! D2 bigbrake kits are a wonderful bolt-on big brake upgrade. They offer suprior braking performance for track cars, and a definite looks upgrade for show purposes. The kits include discs, calipers, carriers, braided hoes as well as all neccessary mounting hardware. 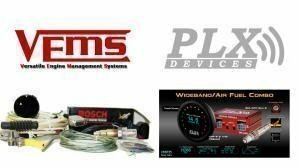 Lots of PLX and vems gauges in stock. These are always in stock and we also carry all spare sensors & mounting hardware for them. The complete Quaife ATB range was updated last week. Check out all the new models, including BMW and Mercedes models which were previously on their separate lists. Lets put the D2 air suspensions -100€ in our weekly offer! D2 air suspension is the choice when elegance, comfort and adjustable height is your thing. You can change the car height while driving and thats very useful when you drive in different conditions. There is four different D2 air suspension model available: Basic, Deluxe, Gold and Superpro. All the air suspensions are nowdays also very much mot-compatible. 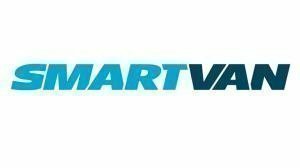 We got the Smartvan LED lights in our webshop on Monday, these will replace the old low power lights in your van! 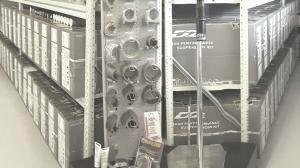 We got the Eibach bolts and nuts updated earlier in this week, now you can search the right bolt or nut easier that before! Best oil for the best street diff? Deal! Quaife, Red Line and Castrol are brands that dont really need introductions. A wonderful ATB with quality oil is a definite choice for winter. 1.) 5 % additional discount on all webshop products. 2.) In our shop, all products on wholesale discounts. To be clear: Promos can not be combined. The D2 -100€ stock discount on it's own is over 10 % for example. 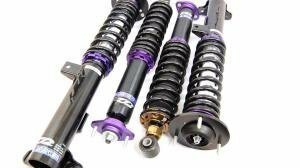 D2 coilover listings were completely updated according to the factory's 2017 listing. Clutch sales have come a long way, and we're constantly relisting products & experimenting new ways to browse products. Still a few days left on the cibie LED add-on beam promotion. Cusco makes one of the best differentials for track use! Cusco list two main types, MZ and RS diffs. There are also three different ramp angles available, 1 way, 1.5 way and 2 way. Ramp angles means the locking direction of differential and needs to be selected according to usage, for example different track uses. MZ models are recommended for only the track, because the lock has a small preload even without any torque - so its very loud at the street use. RS models are mainly for track use, but this can also be a compromise for sreetracer, because it does not have so much preloud. We sell PLX and Vems the most! 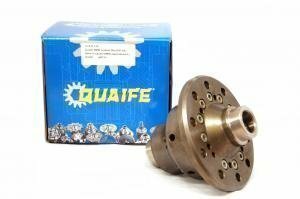 We sell Quaife a lot more since we updated the Quaifes for Mercedes few days ago! Now we have all D2 air suspension in our webshop! We have lots of different turbos for almost every car! We will put every Eibach products -20% in our weekly offer - We will sell every Eibach product in our range with -20% discount! 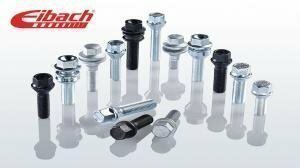 Eibach is a high quality manufacturer in Germany who has a wide range of car suspension parts. There is coilovers and normal suspension kits available from Eibach, and of course there is only lowering springs available. The most popular Eibach products are Eibach B12 pro-kit, Eibach Pro-kit lowering springs and Eibach Pro-street S coilover kit. Shock absorbers are from Bilstein and springs of course from Eibach. Eibach also makes lots of wheel spacers, bolts and nuts. Eibach is very reliable choice for your car and it gets always a good customer feedback. Eibach is so reliable and good that even some of the car manufacturers puts Eibach springs in new cars in the factory. We will make our Vems wideband range more simpler. We will remove the Vems with 4.2 sensor and 4.9 Vems will replace it. Anyhow we can get the 4.2 replace sensor now and in the future - directly in our own stock. 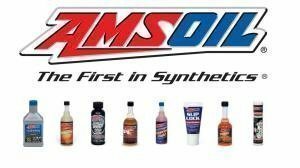 Amsoil has manufactured oils over 40 year experience! 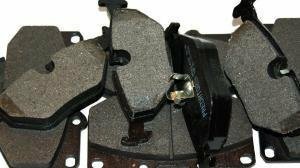 Black Diamond and EBC brakes easily through us! K&N is the best air filter you can use in your car - in practice, it's eternal, now K&N is also in our weekly offer -20%! K&N air filter is one of the best modifications on your daily driver, it allow more air to engine - that means more power and lower fuel consumption, because engine doesn't have to work so hard to get the air. K&N filters practically lasts forever, assuming that you clean it occasionally. Simply = when the normal "paper" filter is dirty and ready for a change, K&N only needs a little wash - you can get the K&N Recharger kit separately. We will continue Eibach -20% offer in christmas special until 23.12.2016. 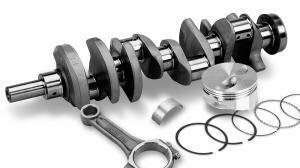 Eibach has wide range of suspension parts, for example lowering sprigs and coilover sets. Ari did go through our outlet list yesterday, there is now a few new products to buy and its updated. Check the outlet list in our webshop! We did a little writing from our motor parts! Kenwood has a wide range of high quality players for cars or even for boats. Mishimoto is much better than original radiator, even in traffic lights!